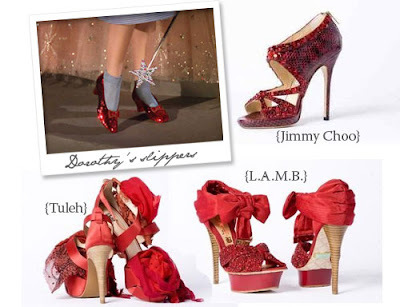 A couple of months ago, I posted about the fact that 19 high-profile designers would be designing their fabulous versions of Dorothy's ruby red slippers from The Wizard of Oz. Some of the designs have been created and released and they are pretty awesome. I love the Jimmy Choos! As Rachel Zoe would say, "I die!". Visit Bandelle for more details. Being a KS girl - I love this!